Let's tell the truth: We've fallen into forgetfulness and apathy. Though our foreparents risked all that was dear to them to open a way for us, we have relinquished the fundamental Black values that guided their lives. The great benefits that millions of us enjoy today don't come from nothing. They have grown out of a long and glorious legacy of mutual love, faith in God and commitment to the children. These core values traveled with them over the seas and centuries. They emboldened enslaved Africans to get up from servitude, challenge racist practices, stand strong in the face of heinous acts of violence today's Black people will never know. When the subject of the criminal justice system and its impact on the African-American community is discussed, the emphasis is usually placed on males. This is understandable if we focus exclusively on numbers. Black males are victimized, arrested and incarcerated in much greater numbers than Black females. The term "grassroots" connotes organizing at the local level to improve the spaces and places where ordinary folk live their lives. 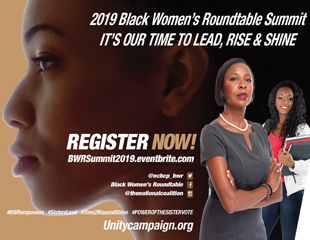 Throughout time Black women have provided leadership at this level; we now have an opportunity to provide global leadership by resurrecting traditional Black family values to usher in a new era of conservation. Waste, excess, and conspicuous consumption must be replaced with a return to responsible stewardship. New White House Office of Faith-Based and Neighborhood Partnerships: Does it silence or support the Black church? 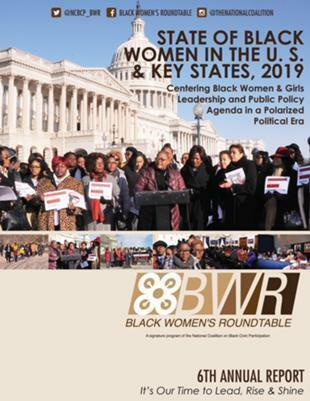 The February 5 announcement by President Barack Obama of the White House Office of Faith Based Initiative and Neighborhood Partnerships offers potential hope for real change, especially for the Black Church. On January 20, the nation crossed a bridge into a new era, swearing in the first African-American president of the United States. Despite the excitement and emotion elicited by this historic moment and the progress President Obama has already made, for many Americans the crossing of that bridge is still filled with fear of what lies ahead, as our country struggles through the worst financial crisis of our time, wars in the Middle East and unrest in many parts of the world. The Rev. Joseph Lowery was among the brave contingent of civil rights leaders who, in 1965, successfully marched to Montgomery, Alabama from Selma to demand voting rights for black Americans. And on Tuesday, the fiery 87-year-old minister punctuated the inauguration of President Barack Obama, America’s first black president, with a reminder, in his benediction, that not all wounds from the nation’s racial strife have been healed. Time Magazine recently proclaimed 2008 "The Year of the Youth Vote." MTV has been similarly celebrating the unprecedented youth turnout on Super Tuesday with votes (PDF) tripling in five states and nearly quadrupling in Tennessee their 2000 totals. Inspired by what youth voters see as a more grassroots campaign of Sen. Barack Obama and mobilized through dozens of voter engagement groups, voter turnout among youth increased in every state except New York. The nineteenth of June is a time for rejoicing and reflection, for meditation and celebration, for self-assessment and self-improvement. The current campaign season has elicited an enormous amount of interest and excitement in the nation's electoral process. In addition to unprecedented voter turnout in many of this year's primary contests, millions of new voters also have lined up at the polls to have their say. On her way to vote in Georgia's Feb. 5 Democratic primary, the usual music and celebrity gossip on Carcola Tippit's favorite radio show was set aside in favor of host Tom Joyner's repeated calls for listeners to report voting problems. "Report any trickery! Call 1-866-MYVOTE1," implored Joyner, whose show is heard by 8 million listeners nationwide. "Let us know what's happening out there." Currently reading page 4 of 4.